Discover the 6 most common working breeds, their characteristics and why a Tractive GPS is exactly what these dogs need! Dogs fighting crime, detecting forbidden substances, rescuing lost tourists from hikes and avalanches, companion dogs helping people with disabilities – are these just nice stories to hear or can dogs be real heroes? The answer is: All dogs are heroes! They all deserve credit just for bringing a smile to our faces every day. But there are some special dogs, who do more than that. And these are the working dogs. Have you heard of them? Good to know: Working or service dogs are basically dogs who are trained for accomplishing a specific job or task. Whether it’s rescuing lost tourists in the snow or chasing the birds from an airport runway, most working dogs have something in common: they are trained to run free! For this reason, tracking is one of the most important aspects when talking about service dogs. Following their position always is a must – so if you have a working dog, read on and find out how you can best track them! But first, should dogs really “work”? Experience shows that dogs who have a task to fulfill (no matter how small or big), live a longer, happier life. Let’s face it: A nice, interesting job makes humans happy as well, so why would dogs not love having a very enjoyable task to do all day? Interesting: Studies on working dogs have shown that giving dogs a job they actually enjoy can help to prevent other behavioural issues (such as stealing socks, chewing on furniture, digging, barking for no reason, anxiety issues and many more). Plus, being around other people is what most playful dogs really love! Not to mention the fact that staying active will improve the general fitness and health condition of our little furry friends as well. So by definition, being a working dog is a rewarding experience both for the dog and his family and parents! The tasks that a working dog can receive are very diverse, but there are some major categories into which we can integrate most examples. Find out what type of working dog you might even have at home! Mostly used for avalanche rescues, cadaver location, & tracking skills Labrador Retrievers, Golden Retrievers, Border Collies and German Shepherds Situation: The dog risks getting stuck in snow or another sticky situation, when searching for a lost person buried in an avalanche. Benefit: A GPS tracker will always tell you the exact position of your furry friend in real-time. 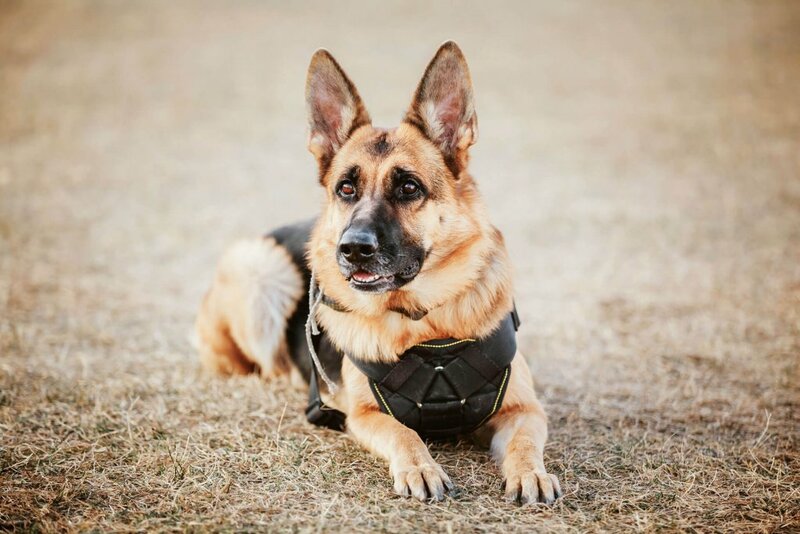 Police dogs: K9 assistance dogs German Shepherds and Malinois Situation: Imagine how much you can make use of a Tractive GPS Tracker, when a police dog is chasing a running thief, for example. Often, dogs run faster than humans, so one can easily lose track of the dog. Benefit: With a GPS Tracker, you can share the dog’s position with the entire crew and follow your dog in real-time! Trained to sniff a particular substance, such as illegal drugs, blood, explosives, etc. Labrador Retrievers, Golden Retrievers, German Shepherds, Malinois, Beagle, Bloodhound and Coonhound Situation: Often, people try to cross borders carrying illegal substances. Dogs follow instincts intensely. Should a “search dog” detect a scent, you can be sure he will be long gone, completely ignoring your voice. Benefit: You want to follow your dog fast and this is where the LIVE Tracking function of Tractive GPS is a big help! Just activate it and see where your dog is right now, instead of losing precious time searching for him in the entire airport. Can work with sheep and cattle German Shepherds, Shetland Sheepdogs, Border Collies, Canaan Dogs, Komondors, etc. Situation: Your dog is guarding a herd of sheep, when one of them gets away from the herd. The dog will automatically follow the lost sheep and try to bring her back to the herd. But what if the two of them get too far away from the herd or the herd has already moved on? Benefit: The Tractive GPS Tracker will tell you immediately where your dog is, no matter how far away your dog or the lost animals might have gone. Guide dogs for blind persons, assistance for moving, etc. Labrador Retriever, Golden Retriever, Standard Poodle, and German Shepherd Situation: Service dogs are very special to people with disabilities. Imagine your dog helping a blind or wheelchaired person at home. 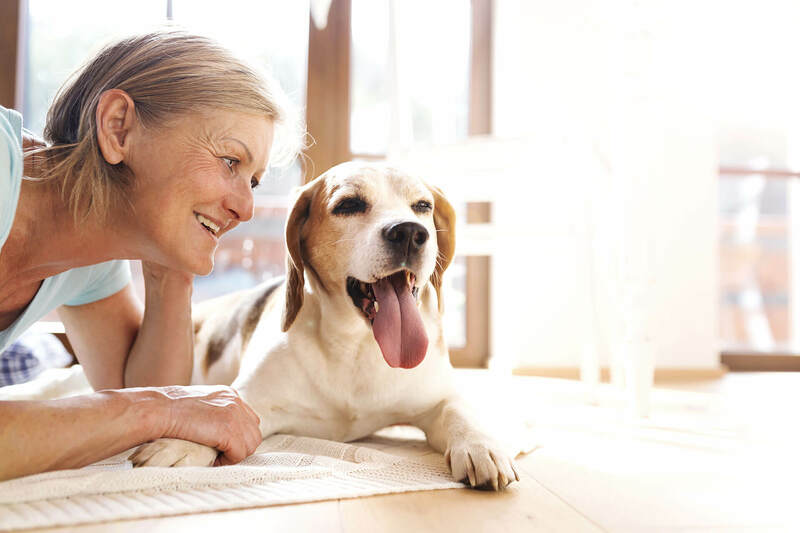 Benefit: With the Tractive GPS Tracker attached to your dog, a third person can always see directly on their smartphone, where for example the blind family member is, since the dog will always be near the person. This will definitely lessen your worries. Mostly trained as detectors, trackers, search and rescues German Shepherds, Dutch Shepherds and Malinois Situation: Military dogs are often exposed to unpredictable situations. Despite intense training, uncommon incidents (fights, loud noises, etc) might still scare a military dog and make him run away. Benefits: Track the position of your military dog in real time with a Tractive GPS Tracker, no matter if your dog is rescuing someone or got scared in a particular situation. So now you know what working dogs are and what type of jobs many of them fulfill. As mentioned in the introduction, what all these dogs have in common is that they are mostly unleashed and trained to run free! Working dogs are special companions, no matter the purpose they serve. The least we can do is to keep them safe, in return. See how these cute dogs all around the world perform various tasks, helping their families to fulfill some jobs better and faster! Like what you’ve read? Share it with other dog parents! Understanding why dogs steal socks has never been easier!